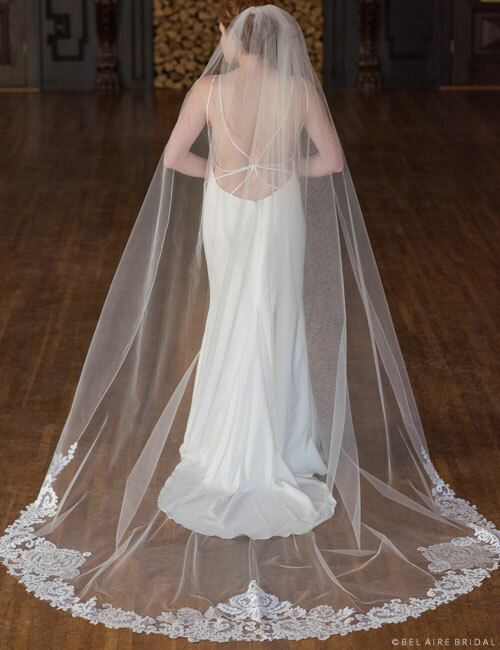 Cathedral veils add ethereal, dreamy romance to any bridal outfit. Breezy and beautiful, these extra-long veils infuse your look with unforgettable elegance. Have you selected a veil for your wedding, yet? Our Fall 2016 collection includes several new stunners. From lovely lace to elaborate beading, these exquisite designs are well worth your time. Soft as the brush of a butterfly’s wings, this gorgeous cathedral veil lines your silhouette with lovely Chantilly lace. This look is formal and sweetly romantic, with a delicate sense of grace and beauty. Utterly enchanting, this exquisite cathedral veil features silver embroidered scrolls with intricate beading. A shimmering pattern of flowers and vines enriches your look with vintage-inspired sparkle. 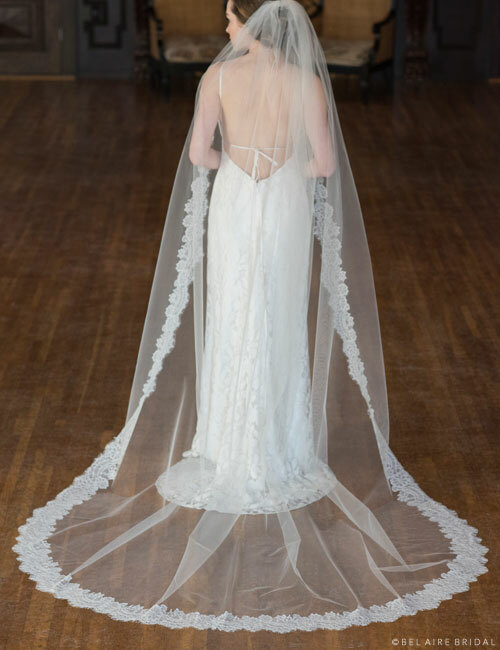 Stunningly dramatic, this eye-catching cathedral veil features bold Baroque lace. This timeless design pairs perfectly with chic statement accessories such as sparkling jewelry and rhinestone headpieces. Want to see more? 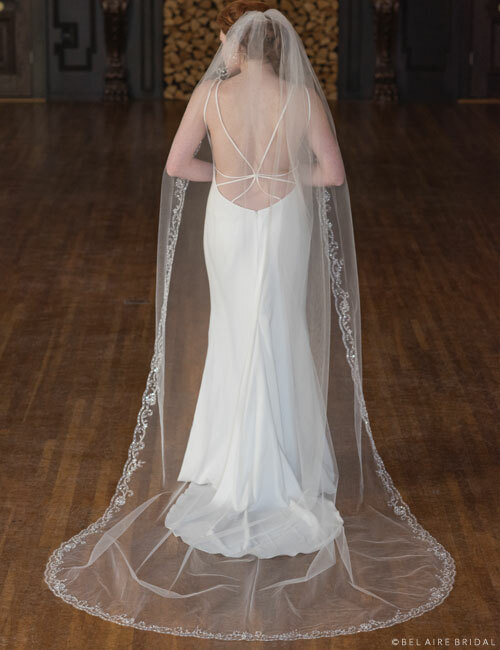 Browse our gallery of Cathedral Veils and save your favorites!